"Borchers is not a very common name and I must take a photo of these headstones." That's what I told my husband during my first genealogical visit to Tulocay Cemetery. While looking for my Flanagan's, I stumbled upon some Borchers. I also told my husband that they certainly must be my relatives. I snapped my photos with the intent of figuring out who they were later. I opened up my family tree and found Albert Borchers listed with the same dates and all. I then went further and found his parents were Henry and Anna Borchers - same dates and all. The next part almost made me fall out of chair. Henry and Anna were my great grandfather's parents. I had been standing at the grave of Hans Heinrich "Henry" Conrad Borchers and Anna Marie Jackel Borchers, my great great grandparents and did not even know it. They are buried only a few paces away from another pair of my great great grandparents, Patrick and Kate Flanagan. That is just amazing to me. My next move was to dig out my grandma's photo album and find a photo of them. I knew what the photo of my grandma (Dorothy Marie Borchers Flanagan) and her grandmother (Anna Marie Jackel Borchers) looked like. Now, I was fetching it, scanning it and looking for Henry Borchers too. I'm not sure if I found him. 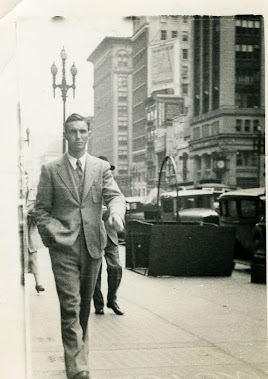 My great grandfather (Herbert Herman Borchers) was tall and thin with light hair. I found him in the photos with my grandma but may have also found Henry. Herbert and Henry may have looked a lot like each other. In some of the photos, it is hard to tell. 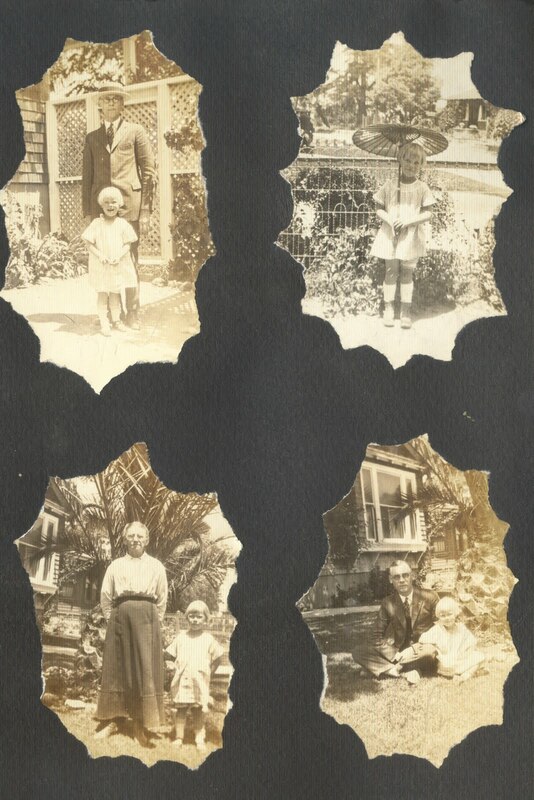 I can assume and tell who my great grandfather was but are some of the photos that appear to be of Herbert actually his father? I'll have to find out from my grandma's sisters and brother. I am certain to have found Anna with my grandma on this page. So my Flanagan trip to Tulocay Cemetery in Napa to find my great great grandparents, Pat and Kate Flanagan, also resulted in my finding my great great grandparents on my Borchers side. My Borchers have always been there no matter what and where. This appears to hold true even at Tulocay!